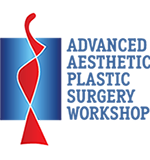 Dr. Barnea is a specialist in plastic surgery and the head of the breast reconstruction unit at the Tel-Aviv Medical Center in Israel. 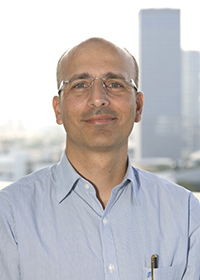 He is the secretary of the Israel society of plastic and aesthetic surgery. He graduated medical school at Tel Aviv University and served in the army as chief physician of the airborne infantry brigade and commander of the medical officers’ course in the military school of medicine. He completed his residency in plastic surgery at the Tel Aviv Medical Center, followed by a fellowship in microsurgical oncological reconstruction at MD Anderson, Houston, Texas. There he developed a specialization in aesthetic and reconstructive surgery of the breast, including microvascular breast reconstruction. He also completed a master degree in plastic surgery. Currently Dr. Barnea performs various types of breast surgeries, both aesthetic and reconstruction, and works in the breast health center, as part of the multidisciplinary breast team. He published both clinical research and basic science projects on these subjects. He volunteers for the Israel Cancer Association and serves on the board of Bracha foundation, a non-profit organization for BRCA gene mutation carriers. Dr. Calobrace is a graduate of Indiana University Medical School and completed residencies in both General Surgery and Plastic Surgery at the University of Southern California in Los Angeles. Subsequently, he completed a cosmetic and breast surgery fellowship at the Institute of Aesthetic and Reconstructive Surgery with Dr. G. Patrick Maxwell prior to entering into private practice in Louisville, Kentucky in 1997. He is a gratis clinical faculty member with the Department of Surgery, Division of Plastic Surgery, at the University of Louisville and received teaching honors in 2007, 2011 and 2014 for his participation in the plastic surgery residency program. He has established himself as a leader in cosmetic surgery in Louisville and recently received recognition in Louisville Magazine as one of Louisville’s “Top Docs” and “Best of Louisville”, 2014 Leo Readers Best Plastic Surgeon and 2013 WHAS “Best of Kentuckiana” as Best Plastic Surgeon. Dr. Calobrace is board-certified by the American Board of Plastic Surgery and is a member of numerous professional organizations, including the American Society of Plastic Surgeons, American Society for Aesthetic Plastic Surgery, Kentucky Society of Plastic Surgeons, and American College of Surgeons. He has a thriving cosmetic surgery practice, performing approximately 1000 major cosmetic procedures each year, including facial surgery, body contouring, breast surgery, hair transplantation and post-bariatric rejuvenation. Dr. Calobrace was highly involved in the introduction of ultrasonic-assisted liposuction in the United States, lecturing extensively and authoring multiple articles and a chapter on UAL. Dr. Calobrace is considered one of the leaders in the field of cosmetic breast surgery today in the United States, has accumulated a vast experience over the 18 years, performing over 400 breast surgeries a year. He has a focused interest in complex revisional breast surgery and augmentation mastopexy. He has participated in multiple FDA clinical breast studies and has been a consultant and speaker for Allergan, Mentor and Sientra. Dr. Calobrace lectures extensively throughout the U.S., is a guest speaker at many National meetings each year, has performed live surgery multiple times at the Atlanta Breast Symposium and is well published on the subject of breast surgery. Dr. Frank Lista is one of North America’s foremost Plastic Surgeons. 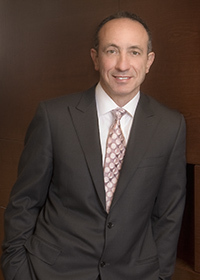 He is the Founder and Director of The Plastic Surgery Clinic in Toronto, Ontario and is internationally recognized as a pioneer in new techniques for breast reduction, breast augmentation, gynecomastia, and operating room efficiency. Under the direction of Dr. Lista, The Plastic Surgery Clinic developed Miracle 10, an anti-aging skin care collection. 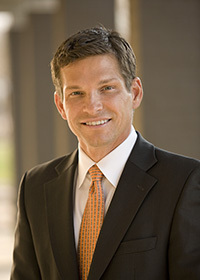 Dr. Lista has published more than 15 peer-reviewed papers in aca- demic journals and textbooks, and is frequently invited to present papers at universities and Plastic Surgery meetings in the United States and internationally, including: the Canadian Society of Aesthetic Plastic Surgery, the American Society of Aesthetic Plastic Surgery, the American Society of Plastic Surgeons and the International Society of Aesthetic Plastic Surgery, as well as Yale University, the University of North Carolina, the University of Toronto, and McMaster University. He has travelled to Kuwait, Istanbul, Raleigh, New York, Athens, Geneva, Hong Kong, Melbourne and Santa Fe to present his techniques and research. In 2012, Dr. Lista was named the Travelling Professor for the American Society of Aesthetic Plastic Surgeons. Dr. Lista is a Founder and Past President of the Ontario Society of Plastic Surgeons, and Past President of the Canadian Society of Aesthetic (Cosmetic) Plastic Surgery. He received his B.Sc and his M.D. from the University of Toronto. Dr. Lista remains on active staff at Trillium Health Centre, where he was the Chief of Plastic Surgery for over 10 years. He is one of very few plastic surgeons board certified in both Canada and the United States. At his Toronto based clinic, Dr. Lista performs more than 1200 surgeries a year. He is one of the busiest surgeons in Canada. In 2010 Dr. Lista received the Ontario Provincial Legislature Humanitarian Service Recognition Award for his surgical relief mission to Haiti, following that country’s devastating earthquake. Fashion Magazine has named Dr. Lista one of Toronto’s top cosmetic surgeons. In 2012, Dr. Lista was named co-chair for the University of Toronto’s Annual Aesthetic Symposium. Dr. Lista resides with his wife in Toronto, Ontario. He and his family enjoy holidays at their second home in Siesta Key, Florida. Dr. Lista’s wider interests include art, architecture, world history and philosophy. Mr Marc Pacifico MD FRCS(Plast) has been described as one of the UK’s rising stars in plastic surgery. His academic, surgical and practice achievements include, amongst others, coming top in the UK’s consultant level plastic surgery examinations (being awarded the Gold Medal), the publication of over 50 international peer-reviewed papers, being a regular invited speaker at conferences and the opening of his own private clinic, Purity Bridge, alongside his busy public and private surgical practices. He has built his reputation on a combination of a high level of surgical skill, an industrious work ethic and a personal, friendly approach to patient care. His publications include both aesthetic and reconstructive papers, with special reference to correction of the tuberous breast. In the ever-evolving aesthetic arena, Marc recognizes the continuum between non-surgical and surgical techniques, using all available options to formulate a bespoke treatment plan for every patient. This process has been further enabled in his practice by the opening of his private clinic, Purity Bridge, that offers a wide range of treatments. The art of rejuvenation is not a “one stop shop” but rather a process, with the right procedure required at the right time for the right outcome. That means maintaining surgical results with specifically timed non-surgical interventions, as well as a global approach to the individual that is outcome driven. 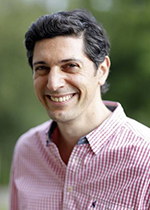 Marc Pacifico is a fully accredited specialist in plastic surgery, and is on the Specialist Register in Plastic Surgery with the UK’s General Medical Council & a member of BAAPS, BAPRAS and ISAPS.